New marketing channels are constantly emerging. At the same time, the effectiveness of existing channels is perpetually changing, and the effectiveness of each can vary greatly according to business type. This makes it hard to make decisions on where and how to invest your marketing budget to deliver the maximum result. By taking just one look at this graph from James Currier and Peter van Sabben, you can see the rise and slow decline in effectiveness of many of the channels with which marketers have become familiar over the past 10 years. In today's post, we're going to look at two channel-selection frameworks that are proven to drive growth and success, as well as an example of each in practice. Impact: What is the expected outcome going to be? Confidence: How confident am I that we can achieve that outcome? Effort: How much effort is required? Once you have answered these simple questions, it is then possible to prioritize which tactics will have the fastest time-to-value for your product. In the same podcast where Ellis shared the ICE framework, he recounted the importance of product/market fit. He also emphasized how the unique value proposition of your business should be established in the marketplace before channels can be tested effectively. Impact: Expect to be able to reach and engage a new audience quickly and drive traffic and engagement back to the site, thus clearly showing the value it offers. Confidence: Research had shown that Twitter was the medium that their target audience used to find and share new content. Effort: The only implementation was the creation of a Twitter account and the cost comprised only the man hours it would take to invest in the GrowthHackers Twitter account. Beyond this, it would be a relatively straightforward process to test the channel and see how referral traffic from the site converted into new and activated users. With this framework in mind, the team prioritized Twitter. Within six weeks of iteration and testing, they grew a substantial user base. 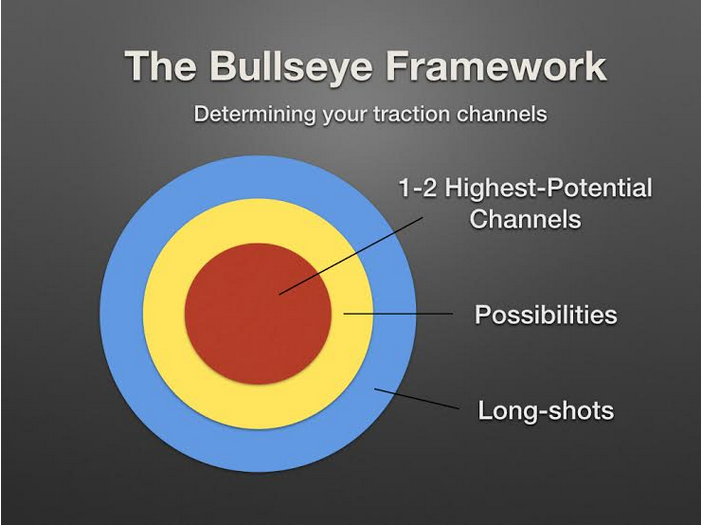 The Bullseye framework is slightly more complex than the ICE framework, but follows the same fundamental methodology in identifying the marketing channel that will give you the most traction. Brainstorm: How might you use each channel? Rank: Which channels seem the most promising? Which are the least promising? 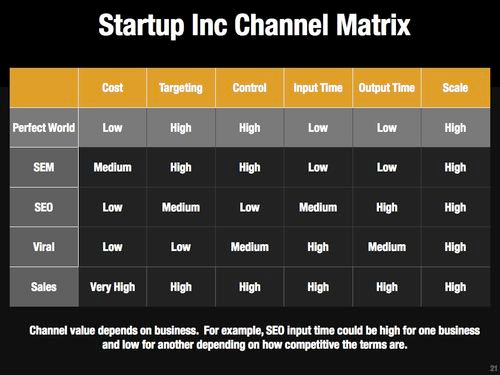 Prioritize: Identify the top two or three channels that are most promising. Test: Run low-resource intensive tests to confirm channel potential. Focus: Invest in the channel showing the most traction from your priority list. One of the best ways we've found of documenting this framework, from Brian Balfour, is what he calls the Channel Matrix. It's a great tool to help you work through the ranking and prioritization phases. If you're looking for further in-depth resources on the Bullseye framework, I highly recommend reading this post from Balfour, Strategize, Test, Measure: The Bullseye Framework. The folks at HubSpot are some of the best marketers in the business. Over the past few months since their new freemium CRM and Sidekick were launched, it has been fascinating to see how they've been able to grow that division of the business. Though we don't have the insights into the first few phases of their channel brainstorming and prioritization, we have been able to see the final channels they've prioritized, tested and have continued to invest in. Sidekick team member Dan Wolchonok wrote a great post that covers their process in more detail. 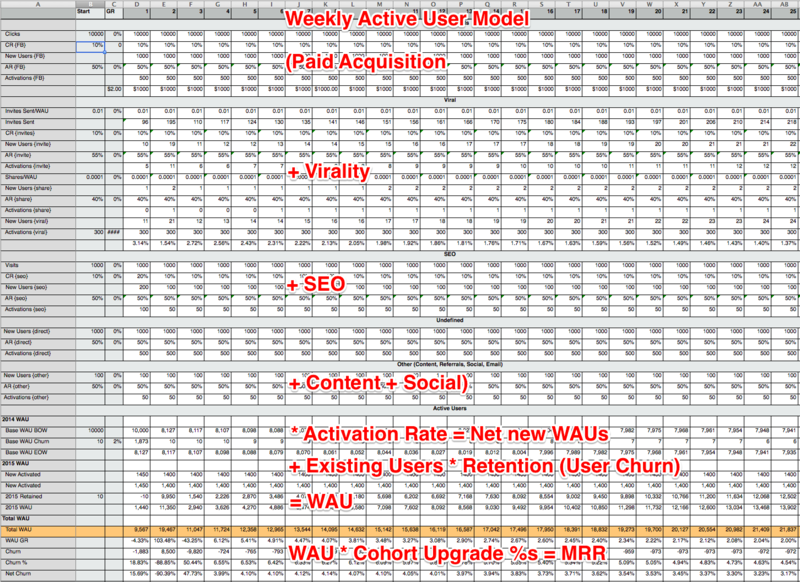 This is a fantastic example of the prioritization, testing and focus stages of the Bullseye framework, since HubSpot's team is tracking the performance of each of their selected channels on an ongoing basis. 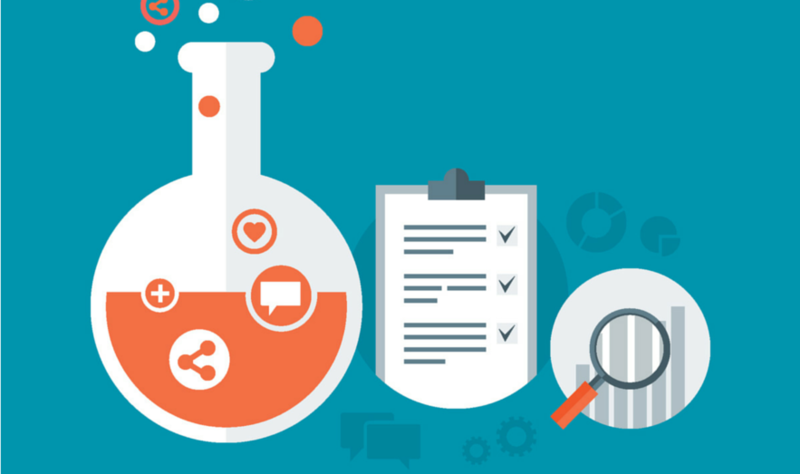 One of the most important takeaways is how HubSpot's researchers have ensured that the channel selection aligns with their goals. You can see from the spreadsheet above, they aren't judging channel success just by the acquisition of a user, but by the activation and retention rates of that user. They know this will enable business growth and success. If you want to take a closer look, I've recreated the template in Google Drive here. Hopefully, you've found these two frameworks to be helpful tools in thinking about how you can get traction for your startup or make better marketing decisions for your already-growing business. By starting with goals and channel ideation, both the ICE and Bullseye frameworks are great tools to help you ensure that you're making the best decisions possible for your business.